William B. Eerdmans Publishing Company, 9780802830210, 360pp. The Crucifixion and Resurrection of Jesus comprise the two-part event at the heart of the Christian story. Because of its unique meaning and the intense emotions it invokes, Holy Week brings high expectations on the part of congregations and places unusual demands on those who deliver the messages. It takes a specially gifted preacher to communicate the profundity of Christ's Passion and its supreme relevance for our contemporary world. Fleming Rutledge is just such a preacher. Heralded by congregations and peers alike as one of today's most compelling and powerful Christian voices, Mrs. Rutledge is also a best-selling author whose previous collections of sermons have touched readers deeply. 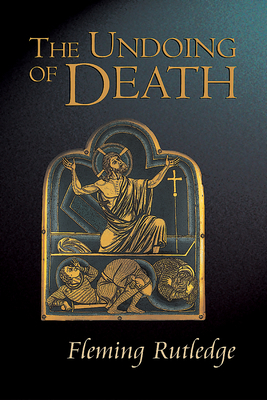 This new volume, representing twenty-five years of Holy Week and Easter preaching, offers a wide-ranging vision of the Cross and Resurrection that will inform and inspire committed believers and serious seekers alike. Divided into seven sections that progress through Holy Week from Palm Sunday to Good Friday to Easter and on through Eastertide, these sermons incorporate the biblical themes of sacrifice for sin, vicarious suffering, victory over evil and death, and the new creation arising out of eternal love. Many of these sermons are brand-new; others -- especially those for Good Friday -- have been rethought and reworked over a period of years. None have ever been published before. All of them consistently display Mrs. Rutledge's startling ability to bridge the message of the ancient biblical texts with the distinct needs of modern people.